Cooking with toddlers is fun, educational, frustrating, impossible, scary, stupid, best to get over with as quickly as possible, never happening again! 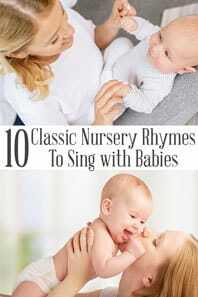 I’ve heard of all these and have been known to utter a few of the less favourable ones when I have tried a recipe for the first time with what claims to be a Toddler Friendly recipe but instead isn’t really and is just a recipe that will let the toddler hold a spoon and stir a bit. 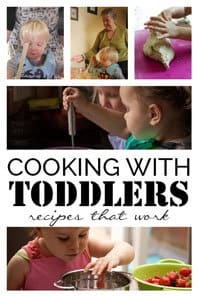 Toddler-friendly recipes need to be very forgiving, they need to be written by mums in kitchens that don’t have huge amounts of space and for mums that have only 1 set of hands and may have like myself 2 kids or more both wanting to cook and help me with the recipes at the same time, how people in daycare, nurseries and schools do it I will never know. However, as the quote below says every good cook whether they cook just for their family or for others remember the days in the kitchen – whether for holidays or everyday meals. I know I do! If you have older children too then check out our recipes to cook with kids an A to Z there are lots of great recipes to try there. Of all of the things I love cooking with kids, sweet treats are my favourite – So I have a sweet tooth I can’t help it and treats that you make yourself are always a little bit more healthy than those you buy so here goes some delicious sweet treats that you can actually cook with toddlers. 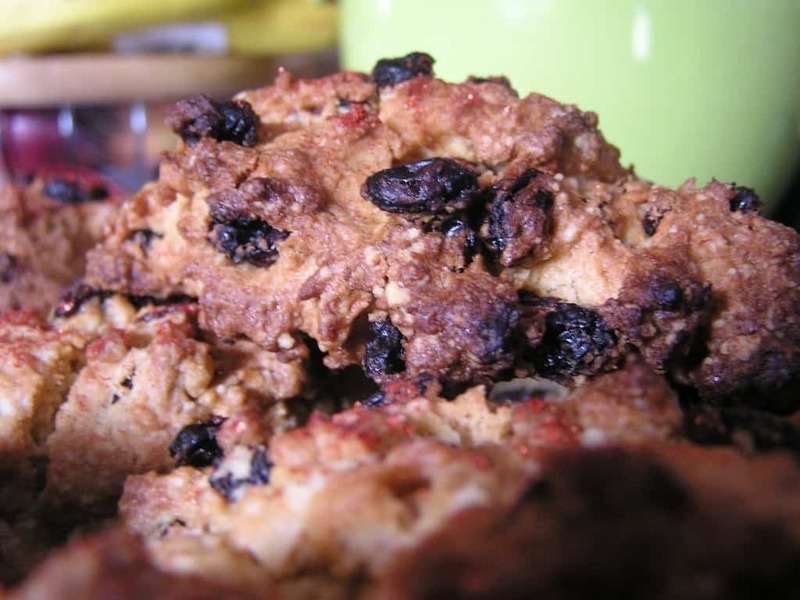 One of the first things I ever made with the kids were space rock cakes – they were a favourite of mine and my mum had written down the recipe for me as they don’t need to be perfectly weighed, mixed exactly or look like anything in particular. Mixing in Nursery Rhymes with some cooking and my sweet tooth will always be a favourite activity and our Sweet Wheels on the bus were a big hit and with only 2 ingredients they are sure to make it to your favourite recipe list for cooking with toddlers. Jam tarts are a favourite sweet treat and they are easy to make – if you connect them again to a Nursery Rhyme you’ve got some singing, dancing and literacy that you’re combining with the cooking as well. Cupcakes/fairy cakes are easy to make and the kids love them – how about simple cupcakes that the kids can decorate, or butterfly cakes with some homemade buttercream frosting. 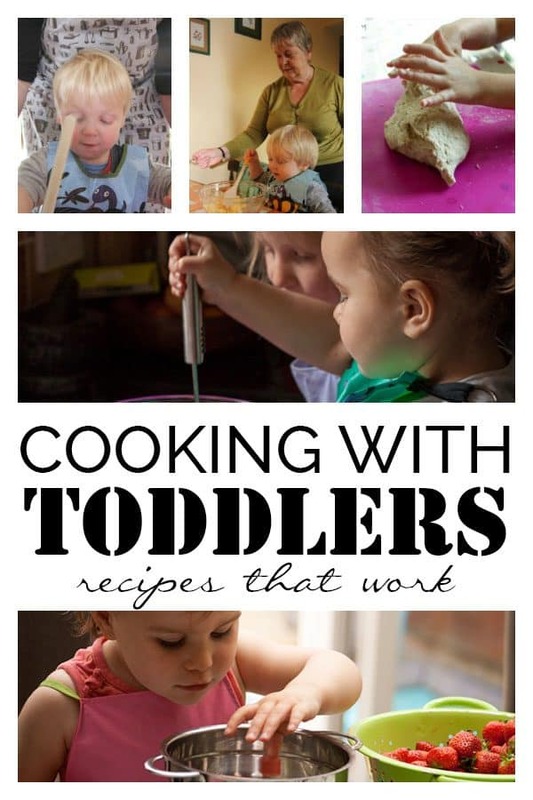 Encourage your toddlers love of cooking with these ideas for toys that they can role-play cooking with. Cookies are another favourite – and rainbow crush cookies go down really well especially when you get to crushing the candies to make them. Strawberry Jam Thumbprint Cookies are easy to make with toddlers as well – they are simple to mix up and measure as well as you can make them as bite size or a large as you want perfect for a small tea time treat for the toddlers in your life. Whether the kids have a sore throat, it’s too hot outside or they just fancy something cool then ice pops are a favourite and they can be as complicated or as simple to make as you want – our simple ice pops are so easy it will take you longer to eat them than to make with the kids and as you know what goes into them you know they are going to be better on the teeth than ice pops from the store. Kids will have no end of fun mashing and smashing these 100 percent fruit rainbow ice pops. For those that prefer an ice-cream style ice pop then our Fat-Free Strawberry Ice-Cream Pops are easy to make and taste delicious. Cooking with toddlers doesn’t mean that you need a whole new set of kitchen equipment – instead there are just a few essentials, a few makes things easier and some little extra’s that we recommend in the Rainy Day House – check out our Guide of Equipment that you REALLY need for Cooking with Kids. It’s not just the sweet things you can make with toddlers – savoury meals are good as well. 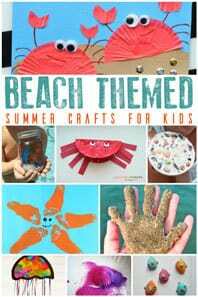 I’ve tried to include ones that I did when the kids were toddlers or my friend’s toddlers have helped us make. 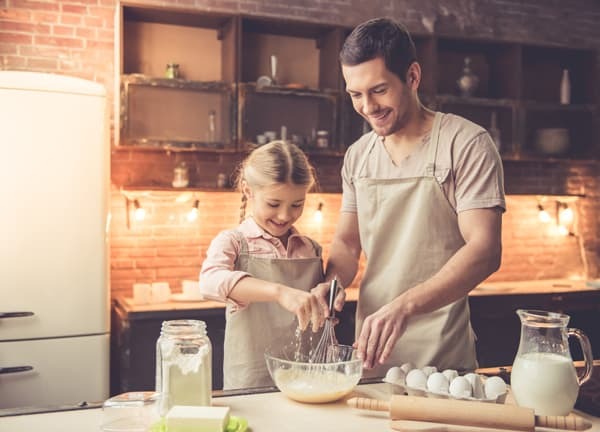 Bruschetta’s that you make yourself are fun way to get the kids constructing their own meals – if you provide the selections, the bread and show them how you can have a quick and easy meal that they will love throwing together themselves. 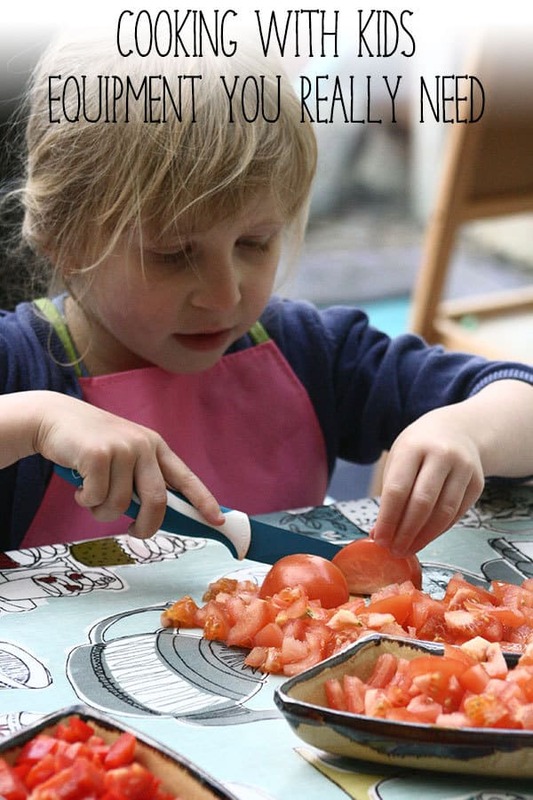 Another Italian favourite of ours is Squashed Tomato Pasta Sauce – a little bit messy but tastes delicious and your toddler will love the sensory cooking experience. We love wraps and our simple lettuce wraps involve no cooking – although I can’t promise your toddler made ones you will be able to eat as a wrap as our attempts were more on the salad on a lettuce leaf but it’s all part of learning to cook and you can give them a hand to wrap them up. Some recipes may involve a little cooking – when my kids were toddlers I used to have one of them at a time on a stool beside me so that I could supervise them cooking our patacones recipes was always a favourite – they did love smashing the green bananas although I did do most of the frying part as that oil can be very hot. Stone soup a popular storybook is an ideal book to cook with and this crockpot stone soup recipe is perfect for toddlers as once everything is in they can step away from the heat source. Bread can be savoury or sweet and is ideal to make with kids – but you do need a really simple recipe to make sure that it will rise and taste nice – we have a simple bread dough that the only time it has failed us is when the heating went out as it was rising – it does need a little warmth to make it rise. 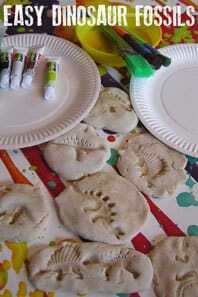 That same recipe is used to make our hedgehog rolls – such a fun way of making themed bread with the toddlers and would be fantastic as you connect it with a season or reading a book. Of course, I can’t include bread without Pizza making and it’s so easy to do with toddlers as well. The most forgiving bread that we’ve made with the kids when they were toddlers was Irish Soda Bread – it worked every time and no yeast either. Christmas lends itself to cooking with the kids and we have included cooking as some of our advent activities with the kids since they were very little – our reindeer cupcakes were among some of the first recipes we included on Rainy Day Mum. One of the traditional Christmas foods in the UK are mince pies – these are sweet pastry and dried fruit treats but as you know pastry can be difficult to make for adults – I have two very different solutions – the first one the store bought option with ready roll pastry and the second a no roll kid friendly pastry recipe to make flakey mince pies ideal for serving to Santa. Gingerbread cookies are another Christmas essential and we have found the perfect snowflake cutter to make some gingerbread snowflakes. Our easy cupcake recipe can be adapted simply to create some valentines chocolate cupcakes which when made in a heart cupcake case are a perfect tea time treat for little ones to share with those that they love. Easter cookies come in two different forms in our house – we make traditional Easter Cookies which I learnt to make in school and started to make together with the kids when they were toddlers and also our egg-free cookies which are perfect for finding some easter shaped cookie cutters and decorating as they wish. Of course, no Easter recipe selection would be complete without a chocolate nest would it – and these are so easy to make with the kids just keep an eye on the temperature of the chocolate and those little fingers away from it when it’s too hot. After making these for the first time when T was only 9 months old and J was 2 and a tiny bit for our first Halloween party it was easy to see that they were toddler friendly – Witches Cauldron Cakes need a bit of support from us but using our fairy cake recipe and the kids favourite jello you have some really creepy cakes that everyone will enjoy. 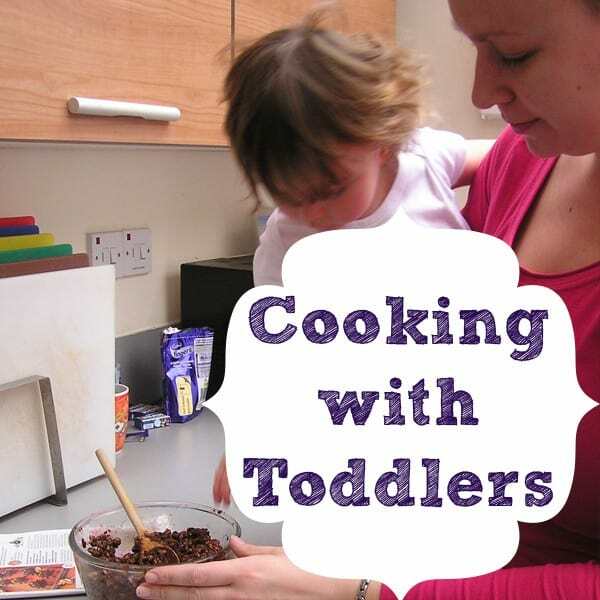 As we’ve cooked together I’ve also tried other recipes and saved them to share and below are our favourite recipes to cook with your toddlers from other sites on the web. 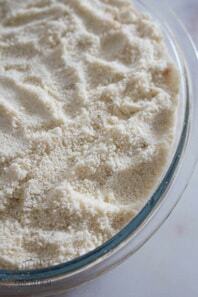 Cheese Puffs – ever so simple to make from Childhood 101. Coconut Ice – one of my favourite sweets to make as a child (maybe a British thing) from Steam Powered Family. Number Cookies – mix a little learning and cooking together from Craftulate. Easy Lemon Tarts – another simple recipe ideal for kids from Crafty Mama in Me. Bird Shaped Bread – use our easy bread dough recipe and make some Bird Shaped Bread like Apple Green Cottage. Wow! Thanks so much for the feature! I love this line-up of recipes and tips!!!! What a great post!!! This is a great roundup of posts, it’s great that so many people are cooking with their little ones. Thanks for the mention & link to the competition too. This is wonderful. Thank.uou for sharing. We love cooking with our.little guy. Wow- you’ve got quite the round up here! 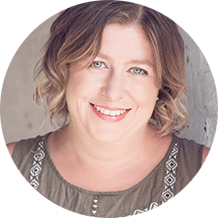 tanks for featuring my cookbook post and thanks for all the other great links! I love cooking with my kids; it’s a way that we really connect with each other. Thanks for posting this! I love cooking so much with my little ones that I even started teaching a cooking class with my little ones friends too. 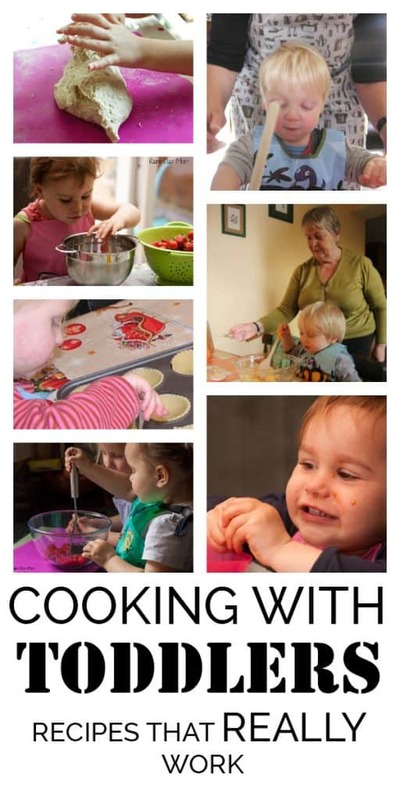 I’ve been blogging about our adventures called “Little Hands that Cook with Books” since we incorperate a book to go along with what we’re creating. That’s a beautiful roundup you made! I’m bookmarking this for future use 🙂 I Think it’ll come in handy! Cleaning the floors before and after is definitely the worst part about toddler baking, but I can deny them the fun! What a great post. Thanks so much, we will have to work our way through it. Thanks so much for including me. Looking forward to reading all the rest. This is a fantastic compilation! 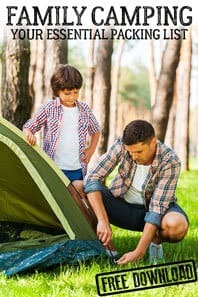 I’m drawn to the no cook cats, myself, just because my son *loves* cats, but I love all of the activities you’ve gathered. Thank you for posting! I am thrilled to have found this! It has been raining for nearly two weeks and I am running out of ideas to entertain my little man and his friend I babysit.